The ribbon is cut to open the new Bergama, Turkey plant on July 11, 2017. 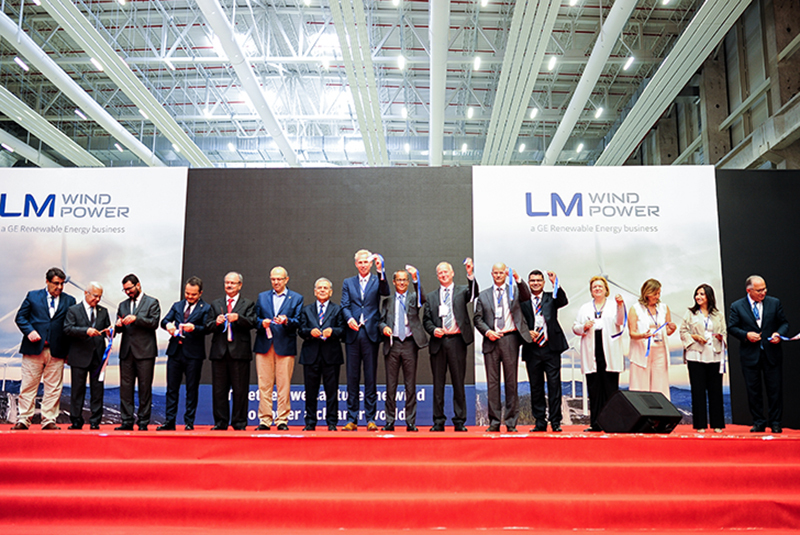 Bergama, Turkey - July 11, 2017 - LM Wind Power, a GE Renewable Energy business and leading designer and manufacturer of wind turbine blades, announced today that it has begun production at a new factory in Bergama, Turkey. The facility, which is located in Bergama Organized Industrial Zone (BOSBI), is expected to manufacture and distribute an annual capacity of 500 megawatts (MW) with the capability to expand to 1.5 gigawatts (GW). LM Wind Power is a world leading designer and manufacturer of rotor blades for wind turbines, with a global manufacturing footprint that includes blade factories in Brazil, Canada, China, Denmark, India, Poland, Spain and the United States. The company has produced more than 195,000 blades since 1978, corresponding to more than 84 GW installed capacity and global savings of more than 166 million tons of CO2 annually.